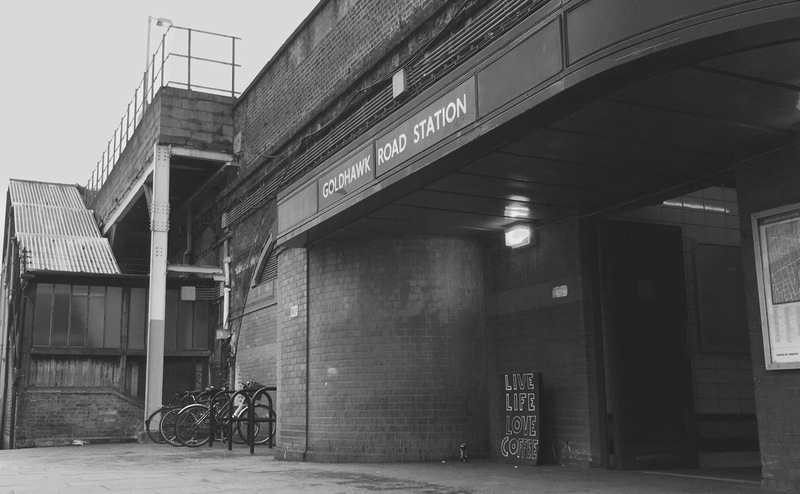 The exotic sounding Goldhawk Road gets its name from the 14th century estate owner, John Goldhawk who presided over large quantities of land in this area. The station was a later addition to the 1864 line being constructed in 1914. It was obviously never destined for greatness and the whole design has a very temporary halt like feel. The shelters and staircases are made from low hanging corrugated iron sheets and the ticket hall has been carved out of one of the viaduct arches. Perhaps it was never intended to stand the test of time, this after all is an area with an ever-changing railway landscape.